"I can't think of a more embarrassing scandal for the United States Senate since the McCarthy hearings," said Texas Republican Sen. John Cornyn as then-Judge Brett Kavanaugh testified before the Senate Judiciary Committee on the afternoon of Sept. 27, "and the question was asked, 'Have you no sense of decency?'" Cornyn was quoting Joseph Welch, the Boston lawyer who represented Sen. Joe McCarthy's targets in the June 1954 hearing, responding to McCarthy's charge that a young lawyer of Welch's was a communist. Six months later, the Senate censured McCarthy by a vote of 67-22, and his name became a synonym for manipulating parliamentary procedure and making spectacular and unsubstantiated charges for political gain. Which is what Senate Democrats, with the active and avid cooperation of many of their friends and fans in the press, did throughout the confirmation process for Supreme Court Justice Kavanaugh. They have, in truth, been doing it for decades now. Character assassination has become their weapon of choice. 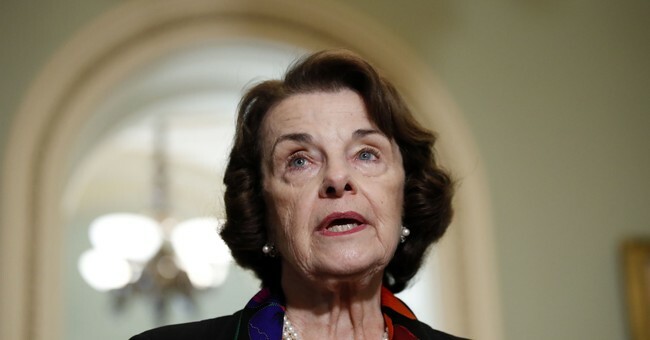 Sen. Dianne Feinstein, ranking Democrat on the committee, concealed a letter she received on July 30 from Christine Blasey Ford for six weeks, rather than turn it over to bipartisan staff in accord with normal committee protocols, which would have allowed confidential investigation of her charges. She did not take advantage of opportunities to pursue the matter in private meetings with the nominee or with committee Republicans. That allowed the letter's charges to be leaked, by one or more Democratic sources, after the long-scheduled four-day committee hearings on the nomination. This naturally left the field open for other highly implausible charges to emerge from the undergrowth of ideological warfare, to be leaked to left-wing media outlets eager to give them an airing without being subject to the committee's bipartisan scrutiny. Senate Democrats, starting with Feinstein's opening statement in the Sept. 27 hearing, cited not only the ostensible subject matter but also the dubious charge of Deborah Ramirez that Kavanaugh exposed himself to her while they were students at Yale; this was aired in the New Yorker but not in The New York Times, whose reporters failed to obtain corroboration. Feinstein also raised the utterly ludicrous claim by slime lawyer Michael Avenatti and his client Julie Swetnick that Kavanaugh engaged in gang rapes. Swetnick has a history of dubious legal claims, and her incredible story totally lacked corroboration, but Democrats nevertheless launched it into public debate with their blessing and made sure it was in the official record. News media reported a claim made in an anonymous letter to a Republican senator that Kavanaugh had shoved a woman up against a wall; the woman denied the story that day. Nonetheless, the impression was created that there were multiple plausible charges of sexual assault against the judge. One cable network headlined "5 accusations," even after one of them was retracted. Viewers were invited to assume that where there's smoke there's fire. Republicans, to their credit, took a different course. The morning of the Sept. 27 hearing, two men were reported to have claimed that they, not Kavanaugh, assaulted Ford in the 1980s. Sen. Lindsey Graham dismissed the charges succinctly, saying: "One's crazy as a loon. I don't believe the other one. ... I'm not going to play this game." Senate Democrats' McCarthyite conduct was not out of character. In fact, the question is not whether they will stoop to character assassination -- that's what bookies call a racing certainty -- but how long voters will accept and even reward the Party's disgraceful conduct. Can it go on indefinitely, or will it come back to bite Democrats, as would be their just deserts? Events that led to the Sept. 27 hearing with Ford pitted against Kavanaugh were reminiscent of those that led to the October 1991 confrontation featuring Anita Hill and then-Supreme Court nominee Judge Clarence Thomas. Ford, like Hill, had requested that her charges not be made public. Democrats in both cases nevertheless violated that stricture. The Party's unwritten maxim is that all is fair in the pursuit of political power. But wasn't America founded on the principle, among others, that might does not make right? Anger is a reasonable response. Clarence Thomas reacted angrily to the "high-tech lynching" and was criticized. Kavanaugh reacted with outrage to the even more voluminous and excessive attack on him, and he, too, has been criticized for it. It's been argued by some that his righteous anger demonstrates that he lacks the right judicial temperament. But it seems likely that at some point, voters, too, will react with anger to Democrats' revolting excesses. And voters always get the last laugh. Feinstein's withholding of the Ford letter for six weeks, during the first of which her staff recommended that she hire lawyer Debra Katz, left time for a two-question polygraph test and for her account to be altered in several particulars, as the detailed Sept. 30 memorandum by Judiciary Committee Republicans' sexual crimes professional Rachel Mitchell demonstrated. Ford's testimony was further delayed, until 20 days after the regular hearings on Kavanaugh's nomination ended, by claims that the Californian accuser was afraid of flying. The claim turned out to be bogus; she had taken many cross-country and trans-Pacific flights. Even so, when Ford delivered her testimony, it entirely lacked corroboration, and even the persons she cited as witnesses testified in writing that they knew of no events of the type she described. Ford's lifelong friend Leland Keyser declared that she did not know Kavanaugh and had never met him. Kavanaugh was not the first Supreme Court nominee in recent decades opposed by a unified Democratic front. Nor was Thomas. The first, in 1987, was Robert Bork, opposed by 52 Democrats and six Republicans, who was attacked for his positions on legal issues. Every nominee of either Republican or Democratic presidents since has declined to state their views on legal controversies. In 1991, Thomas was opposed by 46 Democratic senators and two Republicans. This was far more than the three Republicans who voted against Bill Clinton nominee Ruth Bader Ginsburg in 1993 or the nine who voted against Stephen Breyer in 1994. Chief Justice John Roberts drew 22 nay votes in 2005; Barack Obama nominees Sonia Sotomayor and Elena Kagan drew 31 and 37 nay votes in 2009 and 2010, respectively. Republican nominees Samuel Alito and Neil Gorsuch drew 42 and 45 nay votes in 2005 and 2017. Alito and Gorsuch were both confirmed, even though neither got the 60 yea votes needed to overcome a filibuster under the Senate rules in effect from the 1970s until very recently. In 2005, the filibuster was under attack by some Republicans, who favored a "nuclear option" in which the Senate would change its rules to allow a majority of senators, rather than a supermajority of 60, to close debate. Republicans were particularly frustrated that Democrats used the filibuster to prevent confirmation of lower-court judges. One case in particular stood out: For more than two years, Democrats blocked Miguel Estrada's nomination to the U.S. Court of Appeals for the District of Columbia, because of fears that this highly qualified Hispanic lawyer might be appointed to the Supreme Court. During this time, Estrada's wife miscarried. She then died of an accidental drug overdose. By spring 2005, enough Democrats feared that Republicans would pass the nuclear option that the so-called Gang of 14 senators, seven of each party, was formed pledging that they would filibuster judicial nominations only "in extraordinary circumstances." They managed to hold down the number of Democrats voting to filibuster Alito to just 25 (including Hillary Clinton and Barack Obama), even though 42 Democrats sided against his nomination when it came to a vote. Among other results of the Gang of 14 agreement was the 2006 confirmation of Kavanaugh to the D.C. Circuit Court of Appeals by a 57-36 margin. Senate Republicans, always more willing to vote for Democratic Supreme Court nominees than Democrats are for Republicans, made no attempt to filibuster the nominations of Sonia Sotomayor and Elena Kagan. But they used the filibuster to block confirmation of some of President Obama's appointments to federal judgeships. In November 2013, with lawsuits challenging Obamacare pending in the D.C. Circuit Court and three vacant judgeships, Sen. Harry Reid, then-Democratic Majority Leader, decided to employ the nuclear option, outlawing filibusters for lower federal courts but not Supreme Court nominations. Only a few years before, he and many Democratic colleagues had decried that proposal as a violation of venerable Senate tradition, a protection for the Senate minority and an incentive for bipartisan cooperation. But to preserve endangered provisions of Obamacare, all that high-sounding rhetoric was tossed in the trash. The nuclear option passed 52-48, and the balance of the D.C. Circuit Court was shifted temporarily to the left. It was characteristic of Reid's 12 years as Senate Democratic leader that he did not bother to enunciate a neutral principle in favor of this rules change. It was enough that it served his purpose for the time being, and perhaps for a few years to come; in November 2013, there were three more years left in Obama's term, and it was widely assumed that Hillary Clinton would be elected in 2016 to follow him in the White House. Thus, the filibuster was seen by Democrats as an irritant from which they wished to be free. Once again, it was Democrats judging that the accumulation of power excused or justified any procedural outrage. For Reid, the ends justified the means. In August 2012, a few weeks before the national conventions, Reid went to the Senate floor (where his words cannot be questioned in libel litigation) and attacked then-Republican presidential nominee Mitt Romney for not paying taxes. "The word's out that he hasn't paid any taxes for 10 years," said Reid, knowing it was a lie he had invented. When asked for his source, he told reporters, "I have had a number of people tell me that." Actually, Romney disclosed records that said he paid $1.9 million in federal taxes in 2011 and $3 million in 2010. The Washington Post fact-checker gave Reid four Pinocchios for his claim, but Reid was not embarrassed. When challenged on his false claim by CNN's Dana Bash, he blandly replied, "Romney didn't win, did he?" To the Post's Ben Terris he bragged, "It's one of the best things I've ever done," and when Terris asked him whether there was a line he wouldn't cross in political warfare, he replied, "I don't know what that line would be." His party seems to not see any line now, either. Reid's invocation of the nuclear option ensured that Kavanaugh would be in the minority in the D.C. Circuit Court in several important cases, but it also seems to have increased his chances of being confirmed to the Supreme Court. After President Trump nominated Neil Gorsuch to the Supreme Court in 2017, Senate Democrats made it clear that they would use the filibuster to block the Senate from confirming him. Back in spring 2005, Mitch McConnell's predecessor as Senate Republican leader, Bill Frist, could not convince all of his Republican colleagues to support the nuclear option; many resisted changing a longtime Senate tradition. But in April 2017, after Reid had done so for federal trial and appeals court judges, McConnell had no difficulty getting his narrow Republican majority to make the change apply to Supreme Court nominations as well. It helped that there were no heavily publicized personal charges against Gorsuch. If Democrats had declined to change the filibuster rule in the relatively quiet winter of 2013, it might have been harder to persuade every Republican senator to do so in the turbulent spring of 2017. One of my longstanding rules of life is that nothing is free in politics; there is some question of when you pay the price. The Democrats are now paying the price of Harry Reid's shameless promotion of lies, and cynical and unprincipled changes in the rules for short-term gain. The question still remains whether voters will also make the Party pay. Until recently, the intensity of the Democratic voter base was measurably greater than that of the Republicans heading toward the midterm elections. Now the gap has closed. Conservative talk show hosts such as Rush Limbaugh warned Republicans that voters would destroy them if they were to fail to confirm Kavanaugh. It's an issue that has stoked political passions. If Democrats don't get the blue-wave election they have been hoping for and believing in, they will know at least one reason why.